The focus this year is to “Love One Another” (John 13:34). You are encouraged to pray for our country and leaders. 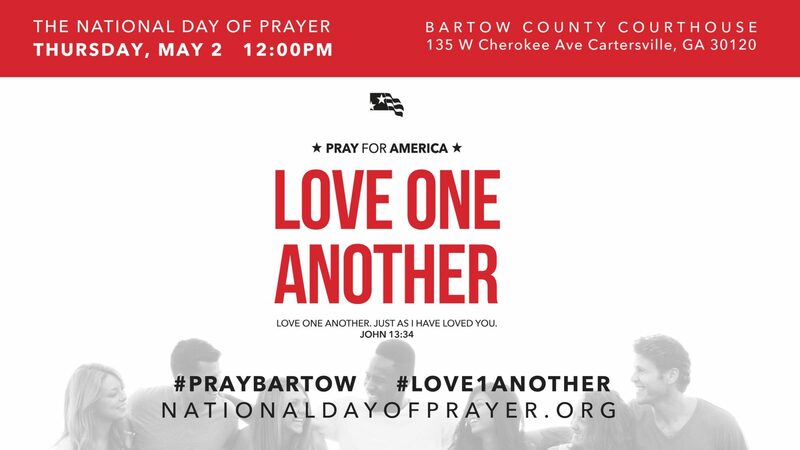 Join the conversation on social media using hashtags #praybartow and #love1another. Make plans to join us at the Bartow County Courthouse on Thursday, 05/02 @ Noon.